Your teeth and gums are so special! There are many different specialists that you can see depending on your specific condition. Everyone knows why you should go to the dentist, but many people are not sure what a periodontist does or how they can help. 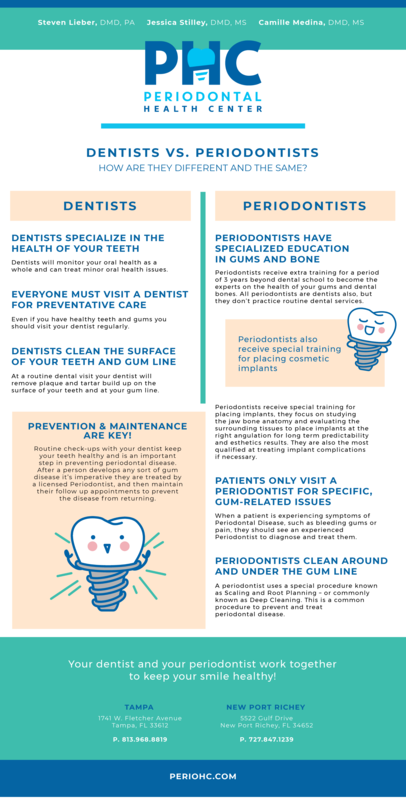 Check out the infographic below for a fun illustration on the similarities and differences between dentists and periodontists.